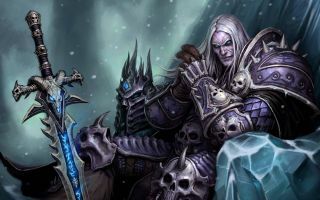 Blizzard will reveal the next World of Warcraft expansion at 9 am PDT on August 6, in a livestreamed event at Gamescom. Alas, we don't know any more about it than that: This is an announcement of an announcement, something Blizzard seems keen on these days. Whatever it is, further information will be revealed during a livestreamed developer chat that will take place at 8am PDT on August 9, just prior to the close of the show. Gamescom takes place in Cologne, Germany, and this year runs from August 5-9. Blizzard has a dedicated Gamescom page, with information on scheduling, prizes, and other such things at blizzgc.com.